Over 100 participants from 52 countries are expected to attend meetings of the Consumer Empowerment and Market Conduct Working Group (CEMCWG) and Digital Financial Services Working Group (DFSWG) working groups in Nassau, co-hosted by the Central Bank of The Bahamas (CBOB) and the Alliance for Financial Inclusion (AFI). CBOB Governor John Rolle and AFI Chief Operating Officer Chee Soo Yuen will present the opening remarks, which will be followed by introductions from the chairs of both working groups: the Central Bank of Armenia’s Armenuhi Mkrtchyan (CEMCWG) and the Bank of Ghana’s Clarissa Kudowor (DFSWG). The event will run from 26-29 March. Each of AFI’s working groups provides a unique peer-to-peer learning platform for members to develop and explore the challenges and successes of specific as well as interlocking policy areas. The meetings will provide CEMCWG and DFSWG with the opportunity to discuss and share knowledge on topics such as data protection, gender and women’s financial inclusion policy and digital credit standards, as well as explore shared common threads. Amid rapidly evolving financial technology (FinTech) innovations, they will also discuss the potential of leveraging regulatory technology (RegTech) and technology tools to develop effective consumer protection mechanisms. More specifically, DFSWG will use the meetings to explore frontier topics such as cross border remittances, interoperability, know your customer (KYC) innovations and cybersecurity. Meanwhile, CEMCWG’s gender subgroup will present its final deliverable in the form of a policy guideline on risk sharing mechanism - credit guarantees for financing for women. The Central Bank of The Bahamas, which joined AFI in April 2018, recently announced plans for digitization and reform initiatives. Among its aim, it said, was to make payment systems more efficient, use technology to achieve more inclusive, cost affordable and even access to financial services, and strengthen national defenses against use of the financial services infrastructure for e-money laundering and other illicit ends. AFI has six working groups: CMECWG, DFSWG, Financial Inclusion Data Working Group (FIDWG), Financial Inclusion Strategy Peer Learning Group (FISPLG), Global Standards Proportionality Working Group (GSPWG) and Small Medium Enterprise Finance Working Group (SMEFWG). Launched in April 2011, CEMCWG aims to support consumer empowerment and protection in order to help secure access to and improve the quality of financial services. Its prime objective is to develop and share a common understanding of lessons learned and cost-effective policy tools, and to promote their adoption at the national level as well as in a broader international context. With 60 member institutions, DFSWG is AFI’s largest working group. It aims to promote digital financial services as a major driver of greater financial inclusion while also working with global Standard-Setting Bodies to represent the voice of developing and emerging countries. 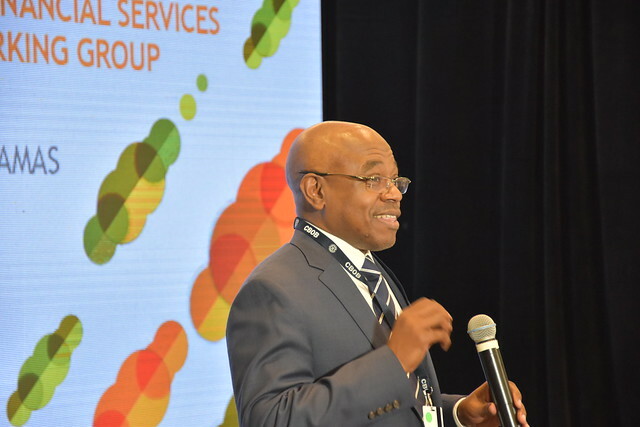 Furthermore, DFS encourages policymakers to exchange experiences in order to develop a shared understanding of the risks in emerging DFS business models.